Traditionally on Burns Night it's always Haggis, neeps and tatties. Today's recipe is traditional in that it contains all the ingredients, but in a different way - serves at least four people. 1lb of potatoes peeled and chopped. Gravy – as usual, I’ll let Delia show you how to make gravy (click here), otherwise, Bisto is very good. Add a slug of whisky for extra Scottishness. 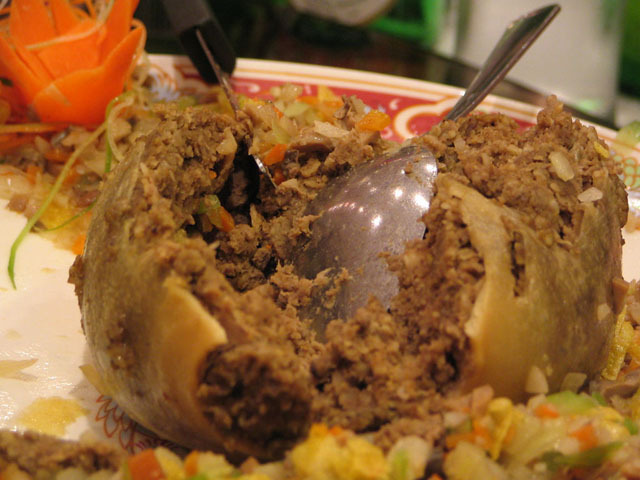 Open the haggis and break it up into an oven-proof dish. Add the cooked swede and mix well with a little gravy. Cook the potatoes. Drain and mash them. The best mashed potatoes are done with a potato-ricer if you have one. Add a knob of butta and some warm milk. Salt if you want to. Spread the potatoes over the haggis and swede and bake in a fairly hot oven, gas 5, 180C, 375F for about 25 minutes, until the potatoes are toasted. Serve with something green, such as cabbage and more of the gravy.